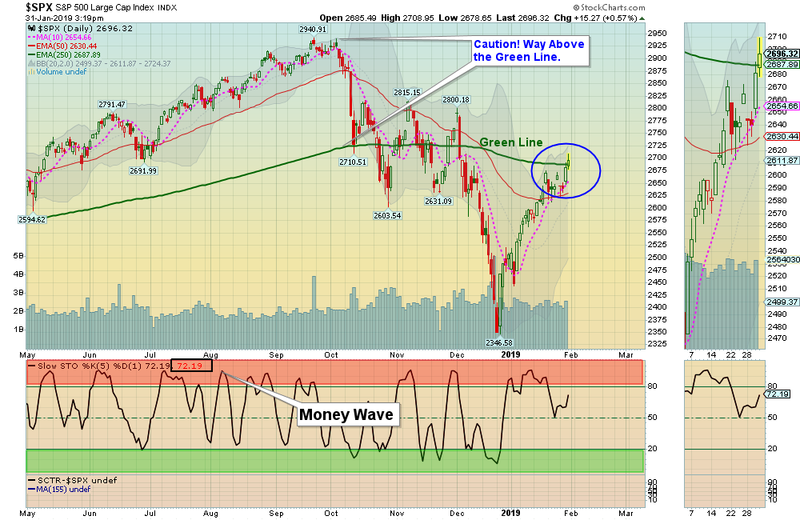 The S&P 500 is finally closing back Above the Green Line. Markets were mixed today after yesterday’s big rally. The S&P 500 should close Above the Green Line today, but it is currently very Over-bought on the Short Term. Please be patient and WAIT for Money Wave Buy Signals. Most of the Leaders are back up in the Red Zones (probably too late to Buy for the Short Term). Crude Oil was down $0.40 today at $53.90. EXIT SAVE SPIRIT AIRLINES if it is going to Close below your Buy Price, or $58.49. This trade was not logged.